The Southern Coalition for Social Justice was well represented this week at the International Drug Policy Conference, held this year in Colorado, a state on the vanguard of drug policy reform. 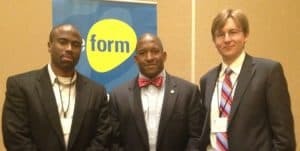 SCSJ Staff Attorney Daryl Atkinson, Fellow Jeremy Collins, and Soros Justice Attorney-Fellow Ian A. Mance all made the trip to Denver to learn from and network with attorneys and advocates from around the globe working to reform counterproductive and racially discriminatory drug policies. The Reform Conference and SCSJ’s criminal justice reform work both receive financial support from the Drug Policy Alliance. This year’s attendees had the opportunity to spend three days interacting with people committed to finding alternatives to the war on drugs while participating in sessions given by leading experts from around the world. SCSJ’s team participated in a number of panels and workshops throughout the week. 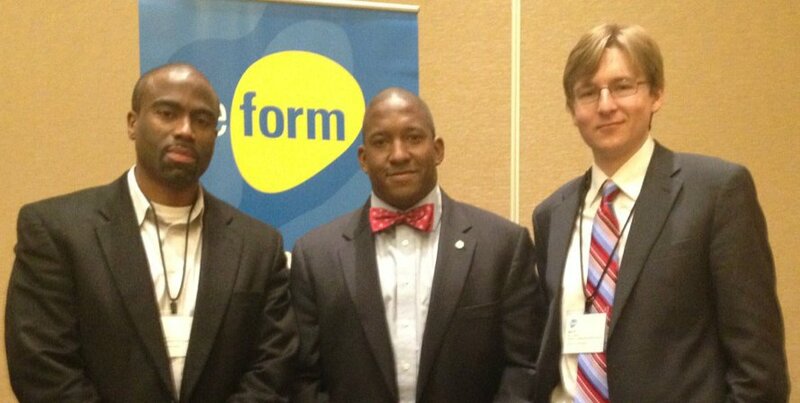 Atkinson was a featured speaker on two panels, The Numbers Game: Mobilizing the Political Power of Formerly Incarcerated Persons in a Democracy and First Contact: Confronting Racially-Biased Policing to Stem the Drug War—the latter of which he used to present SCSJ’s new research on racial profiling and discriminatory marijuana enforcement in Durham, NC. Collins and Mance participated in the roundtable discussion, Drug Policy and Civil Rights, organized by the Colorado, Montana and Wyoming conferences of the NAACP. The conference provided an opportunity for SCSJ to present on its own work fighting regressive drug laws in the South, while also learning from and networking with advocates in the West who have had success in transitioning their states and communities towards a more sensible drug policy. Next Article: Ban the Box and Target: have we hit the tipping point?